High grade 36mm frame. Excellent quality 11oz 100% cotton duck canvas.. Three times primed providing a good 'tooth' for oil and acrylic paint. Cleanly wrapped and sealed at the back making it virtually staple free Loxley Canvas; the Stretching The traditional mitred corners are made with a free floating tongue and groove so that the canvas can be re-tensioned if needed using the supplied wedges.Simply nock them in to the holes to tension. There are a vast range of sizes available in the Loxley Gold Standard/Traditional 18mm depth and in the modern Chunky 36mm depth. The larger of the canvases have cross bars to add strength and stability to the frame. The cross bars in the Loxley Gold 18mm deep range have rounded edges to prevent paint lines forming when painting with a pressing against hard or using a palette knife. Each canvas is presented in a sealed poly wrapper and has the Loxley logo embossed discreetly on the back of the stretcher frame. 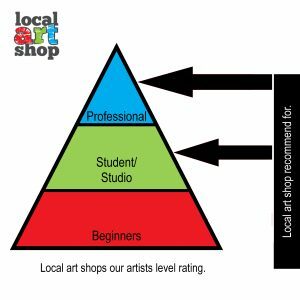 These are aimed at the profressional level artists and recommended to students due to the quality. 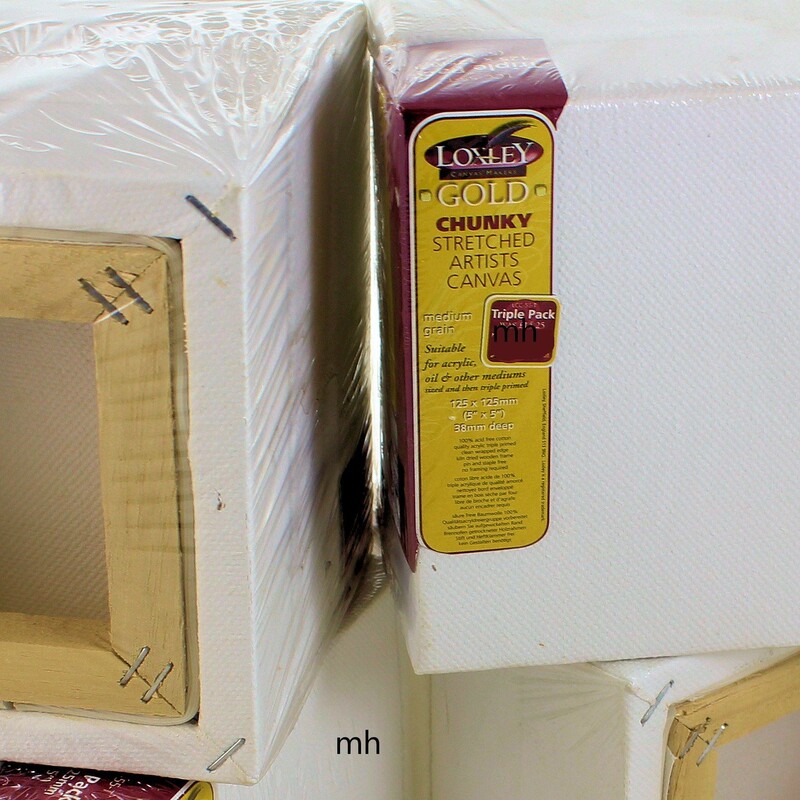 Loxley Gold Stretched Canvas Chunky - Deepl Depth - 20 x 16"
Loxley Gold Stretched Canvas Chunky - Deepl Depth - 16 x 12"